A favorite re-created in maple for a lighter touch. Vic Firth American Heritage Drumsticks are sized like the popular American Classic models, but are crafted in maple rather than hickory for greater rebound and flex. This drumstick series gives drummers the feel of their favorite Vic Firth American Classic sticks but with a lighter and more airy sound-especially on cymbals. 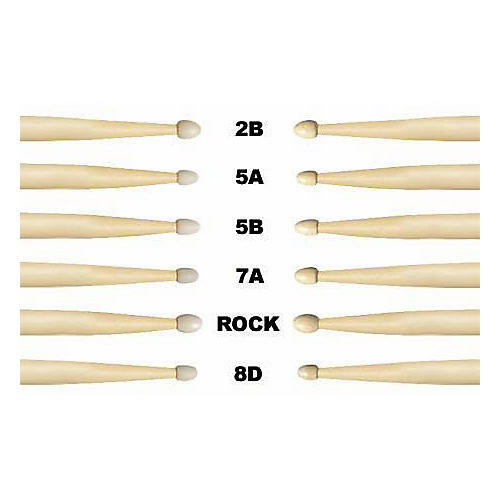 The AH7A drumstick has a tear drop tip and is great for music with a light touch. The Vic Firth AH5A stick has a tear drop tip that combines with maple for rich cymbal sounds. The AH5B stick has a tear drop tip with a medium stick that still produces sweet cymbal sounds.